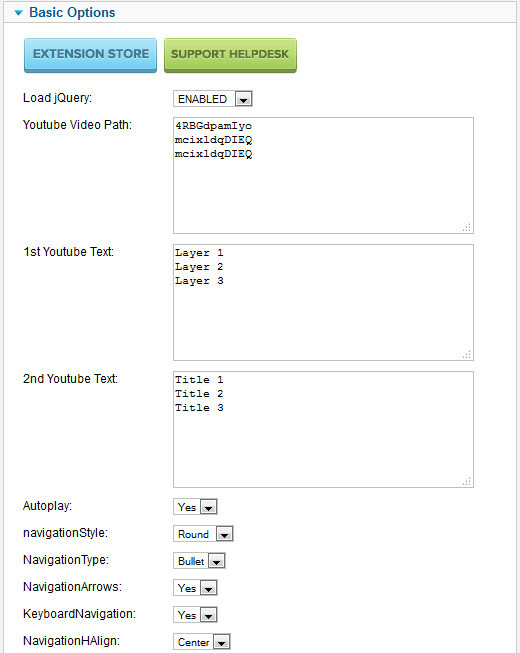 Advance Youtube Video Player plays youtube videos for your Joomla site. The player has bullet/arrow navigation and much more options in the back end parameter. See our demo how it works. Highly configurable and backed with a 24x7 Customer Support package. This module is cross browser compatible and works on all the modern browsers. Bug Free and works great! Compatible with Joomla 1.5.x , 2.5.x , 3.x.x. The Downloads Access and Extension Support is valid for 6 months from the date of purchase.